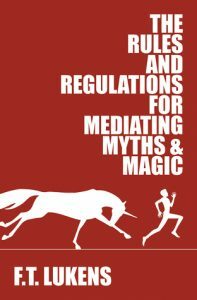 I received a copy of The Rules and Regulations for Mediating Myths & Magic, by F.T. Lukens through Netgalley. Super cute, I mean it’s a little ridiculous too, but utterly adorable. I thought the characters had realistic young adult, coming into themselves sort of problems that they handled well. I thought the couple was too cute for words. I liked the side characters. I thought the fantasy aspect of the book was engaging and interesting. And I thought it was funny. Granted, some of the humor was of the slapstick, silly sort. But still I enjoyed it. A rare, all around win for me. On a side note, if you hurry, there’s even a giveaway to win a copy. It ends Sept. 30th. This entry was posted in books/book review and tagged #DiverseRomanceBingo, #ReadDiverse2017, book review, fantasy, funny, M/M on September 19, 2017 by Sadie. 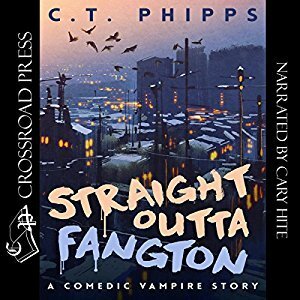 I received an Audible copy of C. T. Phipps‘ Straight outta Fangton through AudioBookBoom. This was really quite good; funny in a witty, sarcastic way, with a widely diverse cast and entertaining plot. Cary Hite did a wonderful job with the narration, which only enhanced my enjoyment of the book. Going in, I was a bit iffy about the main character being a black vampire and joking about this at times, with the author being white. There are jokes people can make about themselves and their own group that outsiders really just shouldn’t. But I never felt Phipps was irreverent or insulting about his characters in any way. Peter and crew were marvelous! I thought a lot of the geekdom references were funny, but I also thought they went a little overboard; too much of a good thing, if you will. Abut all in all, however, I loved this and hope for more. 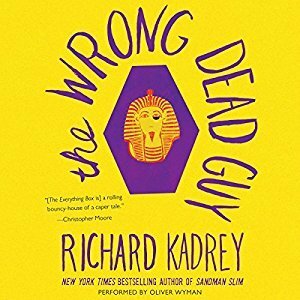 This entry was posted in books/book review and tagged audio book, book review, funny, urban fantasy, vampire on September 11, 2017 by Sadie.